← What You Should Know About WATER DAMAGE! Rapid Recovery Service provides emergency flood clean up assistance and Water Damage Macomb County for any unexpected flood damage, ranging from minor plumbing leaks to major plumbing bursts, flooded basements, sewage backups, toilet and bath overflows, and any other water damage that can happen. 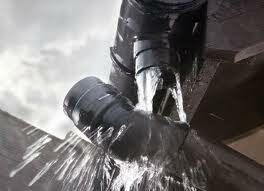 Fast water removal services 24/7 Rapid Recovery Service. Rapid Recovery Service’s expert team of highly trained builders, plumbers, emergency first responders, flood damage specialists, and restoration technicians will work together to locate the source of water and stop the root of the flood damage, extract the water, dry your property, and rebuild broken or destroyed the structural component. Most Flood-damaged properties have coverage by home or business property insurance. Rapid Recovery Services’s claims adjusters and claim analysts will assist in handling and billing your request application from start to finish, so you don’t have to. If you don’t have property insurance, we are sensitive to your financial situation and will ensure that repair costs are minimal. We Work With All Insurance Companies and have a good reputation with all. Full-Service Commercial & Residential Water Damage Macomb County – flooded basement cleanup Macomb County Mi with many years of experience. Commercial and residential water removal and flood damage mitigation is a specialized field. Also, it requires intense training, expert knowledge, and skill. Advanced technologies and active processes to restore affected property entirely to mint condition again. From leak detection to water removal, structural drying, and property reconstruction, Water Removal Team will restore your property quickly and with the lowest out-of-pocket expense for you. The first step to employing when mitigating flood damage is to stop the source of the water. Sometimes the source of water is apparent. Yet, many times investigation is required to determine the cause of the water damage. 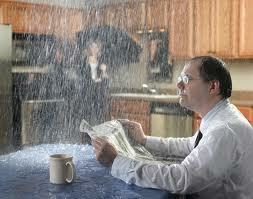 Experienced water damage specialists are trained to find the origin of the water. 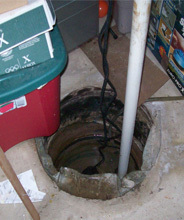 The team finds the source by using advanced leak detection methods. Thermal Imaging allows intricate diagnostics in the repair process. The first step to employing when mitigating flood damage is to stop the source of the water. An investigation is required to determine the cause of the water damage. Specialists trained to find the origin of the water damage using advanced leak detection methods. Also, Rapid Recovery Service uses Thermal Imaging to allow for intricate diagnostics in this process. Water Removal Certified and experienced water removal specialists have years of experience. After water removal is complete, it’s essential to dry the affected areas immediately to prevent fungi and mold growth, which can both weaken structures and adversely influence the health of occupants. Rapid Recovery Service utilizes the Applied Structural Drying (ASD) method when removing large amounts of water from a structure. Applied Structural Drying uses science to minimize water damage costs by eliminating costly rip out and tear down damages. This drying process is also advantageous in reducing moisture contained behind walls and floors that otherwise look dry but remain saturated. Combined with the use of FLIR technology and our injection system, this process can not only reduce the risks of mold growth but can end up saving owners thousands of dollars in repair and clean up costs. We also test treated areas before and after using advanced measuring devices, moisture meters, to accurately determine the amount of water content in materials and to measure the success of the removal of water following structural drying procedures. IICRC certified technicians in the Applied Structural Drying (ASD) process. We utilize the most up to date equipment and standards in the industry. ASD has developed a reputation as an industry training standard through laboratory and classroom training among drying industry professionals and insurance industry representatives. The Structural Drying method benefits both the owner and contractor by properly drying and saving insulation, hardwood floors, drywall, concrete block, ceiling tiles, plaster walls, etc. With ASD, the amount of time and money can be reduced by both parties in restoring structures following water damage. The science behind ASD focuses on controlling the environment. State-of-the-art airflow and heat temperature equipment take care of water damage restoration. In addition to extraction, air movement and evaporation, dehumidification and temperature control. Utilizing all of these key components ensures a quicker, more cost-effective solution to managing water damage occurrences than traditional methods. When water-damaged areas are adequately dried, it is time to begin reconstructing the property. 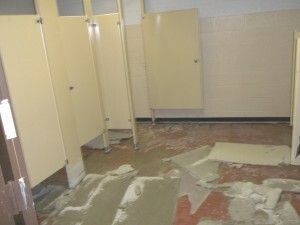 Because most water damage destroys parts of buildings walls, floors, and ceilings, damaged aspects must be fully renovated, rebuilt, and repaired. Finally, the property is refinished to restore the property to mint condition.